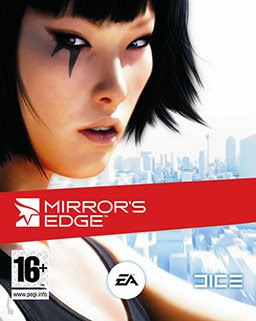 Received in the mail this week-end a CD/EP for a Video Game called 'Mirror's Edge' which apparently has just been released in November for X-Box & Playstation. The EP features the theme track for the game 'Still Alive' by Swedish artist Lisa Miskovsky and remixes by some of the biggest names in dance the music business (Benni Bennasi, Junkie XL, Paul Van Dyk & Armand Van Helden). Hard to believe that a video game can get treatment like this from such big names. I can imagine in the future all the big artists will be fighting for rights to release their music on the hottest new games. Anyways out of all the remixes my favorite was by Teddybears. Great pop track! Really dig it. Think you will too. Here's that plus a little summary of what the games about courtesy of Wikipedia. "The game is set in a conformist dystopia in which communication is heavily monitored by a totalitarian regime, and so a network of runners, including the main character, Faith, are used to transmit messages while evading government surveillance." Hmmm, doesn't sound too different from the U.S. under Bush the last 8 years.